A pediatric dentist is a dentist who provides therapeutic and preventative oral health care services to children. At Briter Dental, we start seeing pediatric patients from age 5. For infants and children younger than 5, it is still important to see a pediatric dentist. If you would like our recommendation for a pediatric dentist for ages 0-4, please don’t hesitate to call us at (281) 492-8900. Additionally, a pediatric dentist performs all the same functions as a general dentist, with a focus adjusted to the needs of children. While an adult tooth may need a root canal, a deciduous, or baby tooth, would need a pulpotomy. A pediatric dentist can also help you understand why it would be necessary to save a baby tooth with a pulpotomy as opposed to just extracting it, as they are experts in managing the rapidly changing oral health of children and adolescents. A pediatric dentist is also qualified to answer questions like, “should my child see an orthodontist about braces?” or “should I be worried that my child hasn’t lost any baby teeth yet?” A pediatric dentist is also experienced in behavior management. 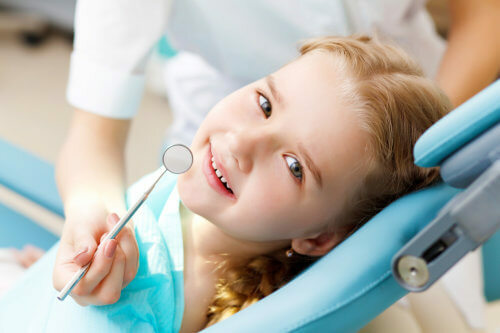 At Briter Dental, we understand that having someone probe around in your mouth is a terrifying experience for most kids (and adults), and everything we do is with the patient’s health and comfort in mind. We want your children to be excited, or at least not terrified, when they hear they are going to the dentist’s office.